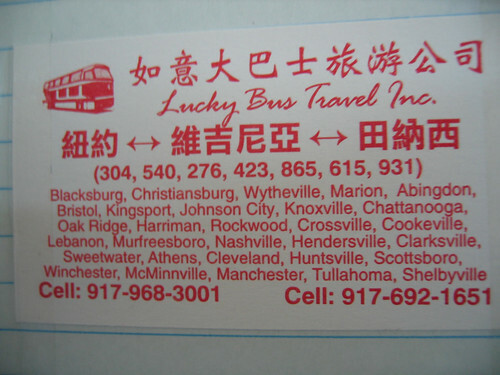 These two are Chinatown bus advertisements for routes that go to the more obscure regions of the eastern United States. 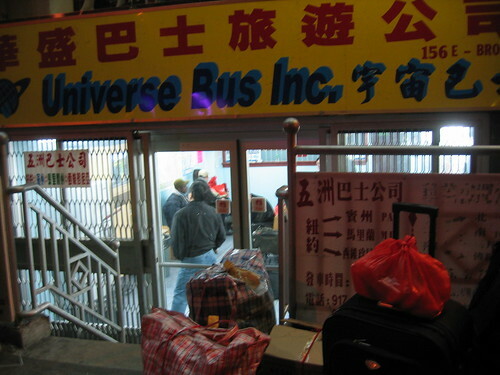 (Chinatown bus goes all over, not just Boston, NYC, Philly and Washington). Notice how they emphasize the area codes. That is because many Fujianese restaurant workers are not educated and thus don’t really read and write English. Given that. How do you divide the United States? Not through towns and states. You do it through numbers — hence the area codes. 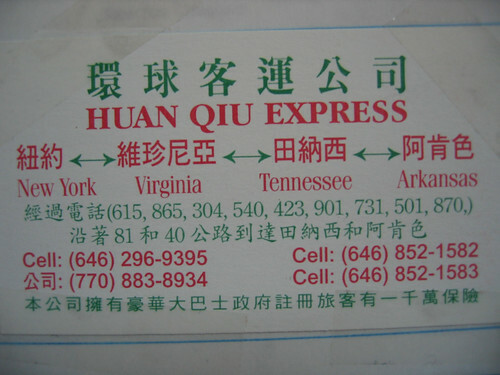 As I wrote in a piece in 2005, job listings in Chinatown employment agencies are often done by area code. The bus system oddly works as an alternative UPS ground service for restaurant menus. 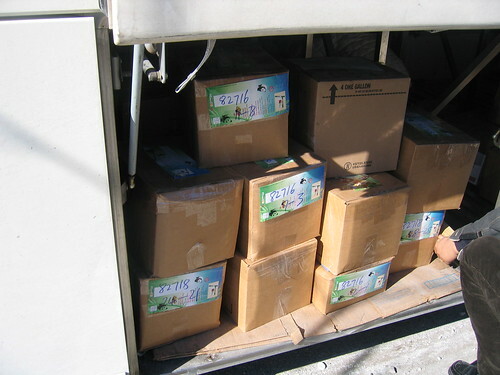 These are being shipped from Chinatown (which is a hub for Chinese restaurant printing west of the Mississippi). Notice how colorful and flashy these are, a mark of Fujianese-owned Chinese restaurants. 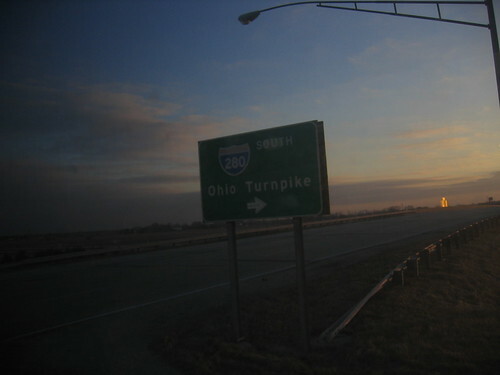 Random shot of the Ohio turnpike. Somewhere in Ohio at like a gas station/rest stop in the early morning, the bus stopped and a bunch of people got off and ended up hopping into vans destined for random Ohio places. 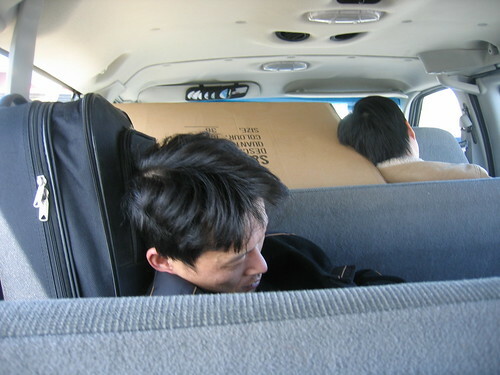 Random Chinese restaurant worker in the van from Chicago to Minneapolis. Chinese people are very good at taking loooong rides. It’s what they do in China all the time (on buses or trains).